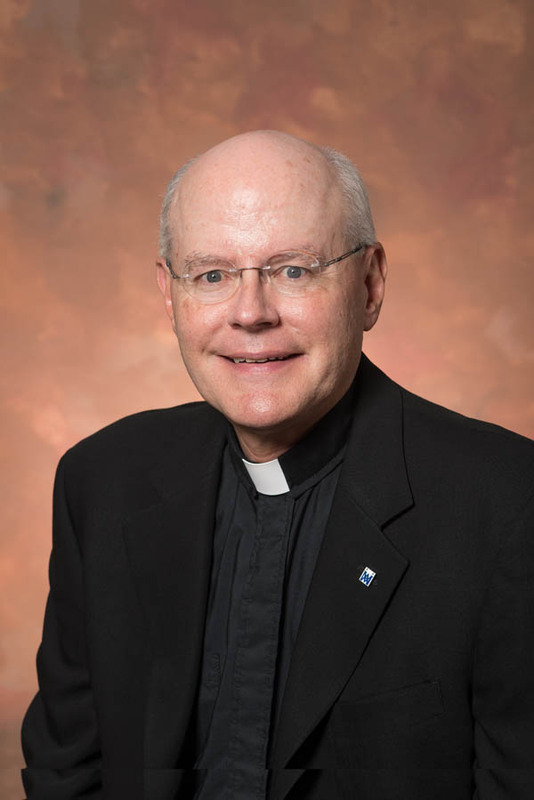 Father McBrearity, P.S.S., has served as Rector of Theological College since 2016. He previously served as Dean of Men and Vice-Rector, among other responsibilities at TC. Father McBrearity is an alumnus of TC from the Class of 1973 and is a priest of the Archdiocese of Atlanta. He received his S.T.B. from The Catholic University of America in 1971 and an M.A. in systematic theology in 1973. After spending a year in parish work and three years as a member of the faculty at St. Mary’s Seminary & University in Baltimore, he returned to TC to begin his doctoral studies at Catholic University in 1977. He received his D. Min degree from Catholic University in 1982. The focus of his study was the history and practice of spiritual direction with special emphasis on spiritual direction in the diocesan seminary. During this period, Father McBrearity served as a formation advisor at TC from 1978 to 1985. From 1986 to 1996, he served as Director of Field Education and of the Pastoral Department at St. Mary’s Seminary in Baltimore. An experienced formation advisor and spiritual director, Father McBrearity taught courses in spirituality and spiritual direction at St. Mary’s from 1993 to 1996 and at the Oblate School of Theology in San Antonio, Texas. He served as the spiritual director for Assumption Seminary from 1996 to 1999. He was then named Vice-Rector at TC from 1999 to 2003. From 2003 to 2007, he served as Director of Personnel for the American Province of the Sulpicians, rejoining the formation faculty at TC in 2007. He also served as Director of Initial Formation for the Society of St. Sulpice, U.S. Province, from 1996 to 2011. From 2011 to 2013 he directed the Institute for the Preparation of Seminary Formators, a program jointly sponsored by the Seminary Division of the National Catholic Education Association (NCEA) and the Society of Saint Sulpice.